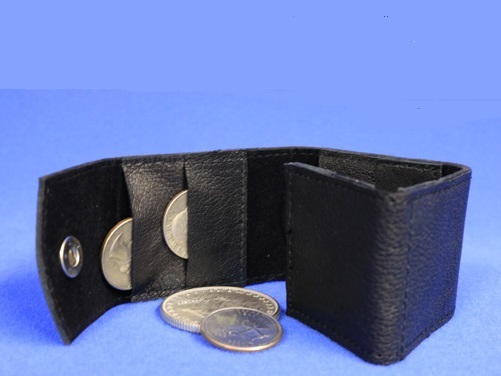 Organize and Separate your coin effects to CARRY IN YOUR POCKET ! 8 Coin Pockets! Easy access! Pure Leather with Snap!